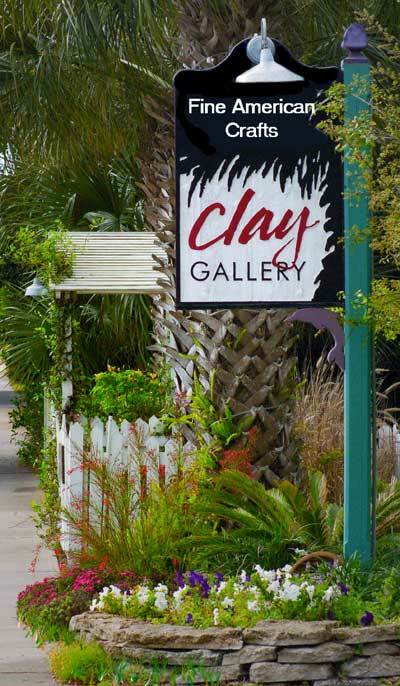 Clay Gallery is located on the corner of Riverside Dr. and Douglas St. just across from the Intercoastal Waterway and Riverside Park. The gallery and studio are surrounded by lush, tropical gardens that invite you to sit and stay awhile. These beautiful grounds have proven to be a perfect setting for hundreds of weddings, receptions and parties and are available for rent at a very reasonable rate from the new Riverpark Terrace Restaurant located there.